Think the City Stars could help with your event? Description for Think the City Stars could help with your event? 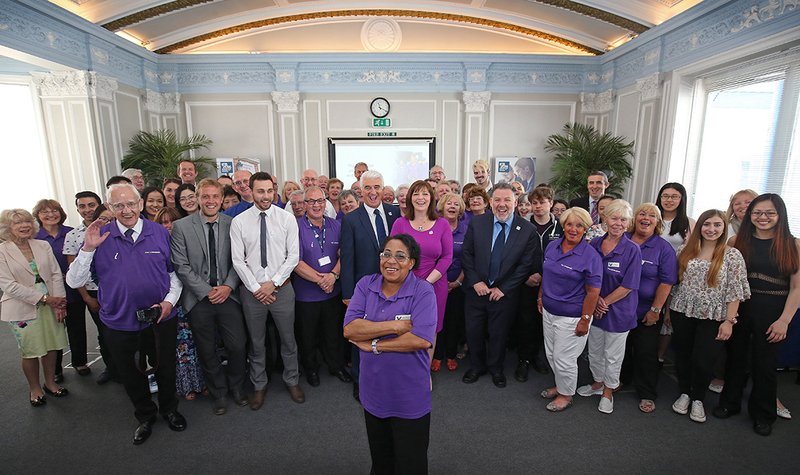 The City Stars volunteers are the personification of all that is great about Liverpool. Volunteering on the front line of Liverpool’s growing visitor economy, you are there to ensure that visitors from near and far experience the city at its very best. You will play a crucial role in shaping a wonderful experience for our guests, who will arrive as visitors but return home as true ambassadors for the city, spreading the word that the Liverpool city region is the perfect place to be. We believe that it is essential for our volunteers to hold, and live-up to, the following LIVERPOOL values. Loyal: Dependable team members who are committed to our collective mission to transform our guests into ambassadors for the city. Inspirational: Be yourself and inspire others by offering that personal touch when engaging with visitors. It’s your personality that will make the difference! Versatile communicator: Communicating effectively with people from different backgrounds and cultures. Speaking a second language would be a real bonus! Empathy: Being able to put yourself in our guests’ shoes and understanding what makes the difference between a good welcome and a truly great welcome. Respect for others: Regardless of their background, whether they are fellow volunteers or visitors. Make sure that the welcome you offer is consistent. Partnership: Being a team player and understanding that the value of our collective efforts is greater than the sum of our individual contributions. Optimistic: Projecting positivity at all times, always focusing on what you can do, not what you can’t do. Outgoing: Being friendly, sociable, and proactive during all interactions with our visitors. Love the City! Being passionate about Liverpool. Volunteering on the front line, you’ll be one of the city’s most important ambassadors! So, if, like us, you love Liverpool, and want to show-off our city, then why not get involved and sign up as a City Stars volunteer today. To do so, just click onto the link at the top of this page.